The Middletown Insider: Candidate Video by Palin Smith: Who is Angel R. Fernandez for Common Council? Candidate Video by Palin Smith: Who is Angel R. Fernandez for Common Council? 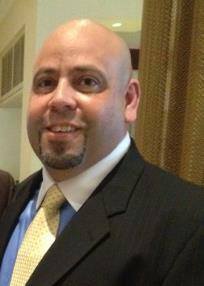 Below is an article originally written by blogger Robert Cyr at CT Latino News and published at:http://ctlatinoe news.com/blog/2013/09/06/middletown-candidate-seeks-to-expand-latino-political-influence/. Read out previous post about Fernandez, who is volunteers Deputy Chief at the City's Emergency management department. Fernandez is a husband, father, veteran and small business owner of Eleven Charlie LLC, a company that recently donated over $10K worth of training to the City of Middletown. Fernandez is running as a Republican for a seat on the Common Council. As the Latino population in Connecticut’s Middlesex County grows, so does their political influence. Angel Fernandez, who is already a well-known name in Middletown, Conn., political and public service circles, is a prime example of this trend as he seeks a seat on the city’s Common Council expanding the role Latinos play in the city. According to data from the U.S. Census Bureau, the county’s Latino population rose 9.79 percent between 2011 and 2012, and is now home to about 8,600 Latinos residents. He’s the first Latino to head the city’s emergency management operations and has taught courses on terrorism response to Office of Emergency Management staff. Now he is poised to possibly make history in Middletown again this November. He is the first Hispanic running for the Common Council as a Republican. “I’ve always been a Republican since the day I joined the military,” Fernandez said of his decision to run for the GOP in a city where Hispanics traditionally are Democrats. Even his family says he is the unusual one, he said. He believes that the GOP better represents the needs of the U.S. military, as well as better following the Constitution in the way they govern. Fernandez said entering local politics was a tough decision for him, but the state’s new restrictive gun laws were enough to force his hand. His military career began in 1989, and he retired with an honorable medical discharge due to injuries from the current war on terrorism. He served in Southern California as an aviation ordnanceman from 1989-91 and was in Desert Shield and Desert Storm. He later served in the Army from 1991 until 1995 as an infantry soldier. In 2000, he was called to serve back in the Navy as a military police officer in an anti-terrorist unit and did a short stint as protective service. “I was General Frank’s body guard during Sept 11, 2001, then I was working with NATO Forces in Crete, Greece. I was in Little Creek, Va., and did multiple tours in Operation Enduring Freedom and Iraqi Freedom,” he said. Fernandez retired at Sub-base New London in 2007. He was awarded numerous commendations and awards, including being the first US Navy Hispanic inducted into the American Police Hall of Fame. He also received the J. Edgar Hoover Award for training excellence of Law Enforcement Personnel around the world. Fernandez said his background influenced his decision to run for office. “The Latino population is really growing in Middletown. In the past 17 years I have been here I saw a increase the past 2 years which is great and that’s one of the other reason I want to run for office so the city and county can be part of the changes in our community. Fernandez, 44, studied public safety administration and criminal Justice at Central Connecticut State University after serving in the U.S. Navy from 1989 to 2007. He has three sons, including a platoon sergeant in the U.S. Marine Corps serving overseas. Second Amendment does not mean no restrictions on gun ownership. Just like free speech does not allow you to yell fire in a crowded movie theater.